Ozzy tyres has the biggest range of wheels and tyres in Australia. 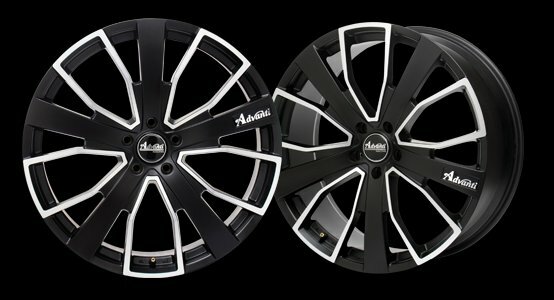 Advanti Racing wheels and tyres alloy wheels or Mag wheels is Australia's favorite mag wheels. The Value is not just in their good looks, Advanti boast spectacular High Polished Alloy wheels, Chrome Rims of intense lustre and above all the good looks all you budding car enthusiast demand. Quality and superb workmanship at an unbeatable price. "Did we mention the warranty its a wheel industry leader". Thatâ€™s what Advanti Wheels brings to the table. Unique styling with the best quality in the Car wheel industry. SIZING ranges from 20", 22" inch. The TOURER Wheel is ALL CLASS, its good looks coupled with its staggered fitments option make this a must have. When LOOKS are everything and 20 plus inch is a must have LOOK no further. (Specs: Advanti TOURER as featured are finished in Matte Black | with a BLUE face, 20x8.5, 20x9.5, 22x8.5 & 22x10 STAGGERED Fitments. OZZYTYRES has one of the largest ranges of STOCKED Advanti wheels in Australia, all Avanti Wheels and Tyres packages are fitting and balancing for FREE, whether you purchase them at one of the workshop or online!..